The leaked pictures of Intel Skylake mini-itx boards pin pointed something very significant. Spotted by bitsandchips.it, it was the fact the motherboard actually supported both DDR3 and DDR4 memory modules. This is ofcourse great news because that means Skylake will have support for not only the currently cheaper DDR3 but the soon to be cheaper DDR4 as well – not to mention the higher performing standard. So what does ‘DDR3 and DDR4′ support for the future generations of Intel Skylake mean? Well, usually one option is to offer SKUs with DDR3 and other with DDR4, but that would be awfully inconvenient from a marketing and practical point of view. Not only would that discourage growth (DDR3 users will simply buy the DDR3 variant and stick with it) but that will result in disparity between similar products: not an ideal scenario. No, a far easier option would be to introduce dual memory support using a Double IMC (Integrated Memory Circuit) on the processors. And this appears to be what the motherboard leak suggests. This is an interesting set of affairs one that are most likely true. 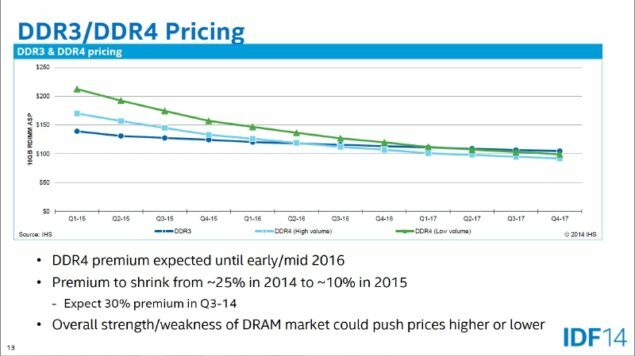 Intel believes that the pricing of DDR4 will remain high; as will the demand of Skylake processors. Migration to DDR4 should be encouraged but you can’t leave the majority of your user base behind. The answer to this dilemma lies in the company introducing Skylake with both DDR3 and DDR4 support. 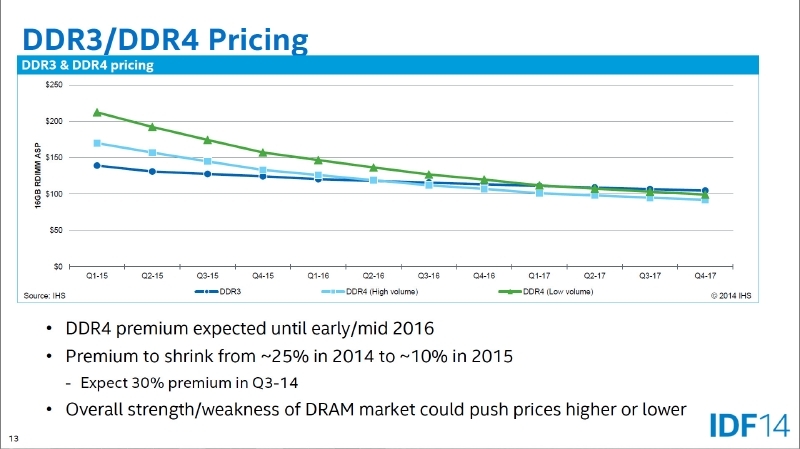 Intel will favor the use of DDR4 memory but if this is correct than users will not need to be worry about buying new RAMs and instead be able to focus on the new micro-architecture and step up when they are ready. DDR4 not only offers faster RAM memory with double the density but also offers a greatly lowered electrical foot print with reduced power requirements. DDR4 RAM can be clocked upto 3200Mhz and requires 1.2V of juice to run. CAS latency will vary from 9 to 24 (DDR3 wad 5-14) while density increases from 4GB at 8 banks to 8GB at 16 banks.